The comments by Senate Majority Leader Mitch McConnell and House Speaker Paul Ryan (right) are a major break with the president-elect. WASHINGTON — In a dramatic break with President-elect Donald Trump, Senate majority leader Mitch McConnell and House Speaker Paul Ryan said Monday that they supported investigations into possible Russian cyberattacks aimed at influencing the US election. A separate potential conflict emerged Monday night when Trump settled on Rex Tillerson, the chief executive of ExxonMobil, as his choice for secretary of state, despite bipartisan concerns on Capitol Hill that Tillerson had a cozy relationship with Vladimir Putin, the president of Russia. 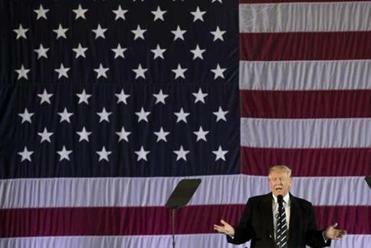 Trump’s formal announcement is expected Tuesday. McConnell’s support for investigating US intelligence findings that Moscow had intervened in the election on Trump’s behalf presages possible friction between the Republicans who control Congress, and who have long taken a hard line against Russia, and the president-elect, who has mocked the findings. Intelligence officials cited a growing body of evidence from multiple sources. McConnell also went out of his way to address Trump’s claim that the CIA could not be trusted because of flawed intelligence in the run up to the Iraq war. Congressional Republicans’ support for inquiries came after Trump railed for much of the weekend against the intelligence findings. But their remarks, especially Ryan’s, were far from fiery, reflecting both a fear of offending Trump, who has taken many positions against traditional Republican orthodoxy, and the Republicans’ belief that Democrats have selectively leaked intelligence information for political gain. McConnell said the Senate investigation would be driven by Senator Richard Burr of North Carolina, the chairman of the Intelligence Committee. Senator John McCain of Arizona, the chairman of the Armed Services Committee, will add a subcommittee to look into cyberattacks, led by Graham. Nunes also noted that his committee would be scrutinizing the review of the Russian effort to influence the election ordered by President Obama last week. McConnell’s support for investigations is a major moment for the Republican-controlled Congress given that Trump has ridiculed and dismissed the findings of the US intelligence community that the Russians sought to influence the election. The process could last for months, and while many of the Intelligence Committee hearings will most likely be behind closed doors, they will still generate wide interest — and potential distraction for the new administration. McCain said Monday that there was “no doubt about the hacking” by Russian intelligence services. He called hacking of the Democratic National Committee and related accounts “another form of warfare” in an appearance on “CBS This Morning,” along with Senator Chuck Schumer of New York, the incoming Democratic leader. Three Senate Democrats — Benjamin L. Cardin of Maryland, Dianne Feinstein of California and Patrick J. Leahy of Vermont — called Monday for the creation of an independent, nonpartisan commission to comprehensively investigate allegations of Russian interference in the 2016 election. But McConnell stopped short of calling for a special select committee, saying that the Senate intelligence committee was “more than capable of conducting a complete review” of the matter. Noting that “the Russians are not our friends,” McConnell said that he “strongly condemns” foreign hacking and that the Senate Intelligence Committee was “more than capable of conducting a complete review” of the matter. McConnell, resolute in his silence on Trump for most of the campaign, now faces bipartisan pressure to take a stand on alleged Russian Russia’s interference in the US election. Trump had a strained relationship with fellow Republicans during the long campaign but has tried to build closer ties to GOP lawmakers since his November victory. The CIA recently concluded with ‘‘high confidence’’ that Russia sought to influence the US election on behalf of Trump, raising red flags among lawmakers concerned about the sanctity of the American voting system. In a wide-ranging interview with ‘‘Fox News Sunday,’’ Trump dismissed the concerns. ‘‘I think the Democrats are putting it out because they suffered one of the greatest defeats in the history of politics in this country. And frankly, I think they’re putting it out. And it’s ridiculous,’’ Trump said. The incoming president did not directly oppose calls from Obama for an inquiry into the 2016 campaign but said it should not be solely focused on a single culprit. ‘‘If you’re gonna to do that, I think you should not just say ‘Russia.’ You should say other countries also, and maybe other individuals,’’ he said. The White House has said the investigation would focus on any breaches by other countries along with hacking committed in previous elections. The likely nomination of Tillerson as secretary of state, meanwhile, could face a tough hearing before the Senate. Republican and Democratic lawmakers have warned Tillerson would face intense scrutiny over his two-decade relationship with Putin. Russia awarded Tillerson its Order of Friendship in 2013. In the television interview, Trump pointed to Tillerson’s deep relations with Moscow as a selling point. Tillerson emerged as a contender on the recommendations of James Baker III, the secretary of state under the first President George Bush, and Robert M. Gates, the former defense secretary, according to a person briefed on the process. Former UN ambassador John Bolton said over the weekend that the cyber interference in the election might have been a ‘‘false flag’’ and left open the possibility it was done by the Obama administration. A false flag is an operation designed to look like it was perpetrated by someone else. White House spokesman Josh Earnest said he could rule out that possibility.